At Breakthrough, we are working to change this. A vital part of Breakthrough's success is our innovative students-teaching-students model. Through intensive, hands-on summer and after-school teaching experiences, we prepare outstanding high school and college students to teach and mentor our middle school students. Breakthrough teaching experiences inspire a new generation dedicated to changing the face of education. Our summer teaching fellows and after-school facilitators are enthusiastic, hard-working young people who want to make a difference. They serve as role models that academic success is not only possible, but that it's fun and cool to be smart. Mix in high expectations and a celebration of learning, and you have Breakthrough spirit. Breakthrough teaching fellows and facilitators have a lasting impact on the lives of their students. 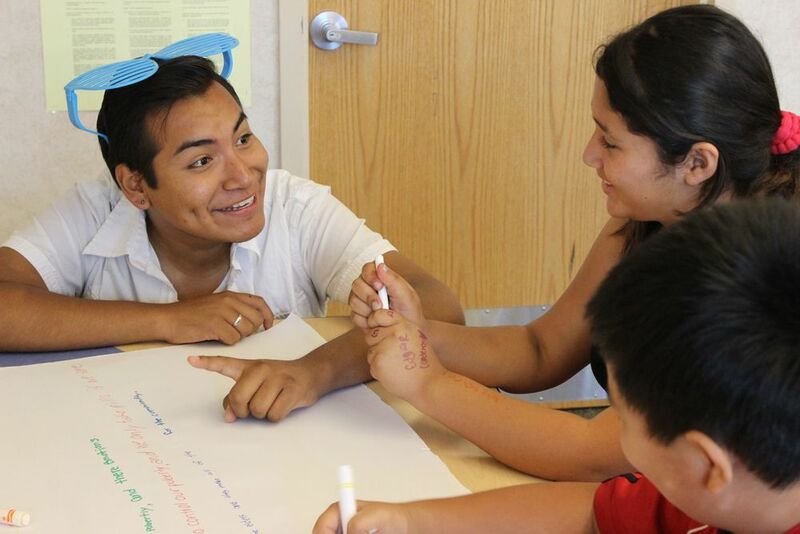 During our dynamic, fast-paced summer program, teaching fellows develop hands-on curriculum and teach crucial academic skills to middle school students, mentored at each step of the way by professional teachers. In our innovative school-year after-school program, facilitators lead critical thinking and problem solving activities that bolster math skills, foster a growth mindset, and lead to school success. As a Breakthrough teaching fellow or facilitator you will make connections that transform lives. Interested in becoming a Summer Teaching Fellow? Interested in becoming an After School Program Facilitator?